The Student Council is the umbrella organization for more than 2,500 BYU Marriott students and 37 clubs. 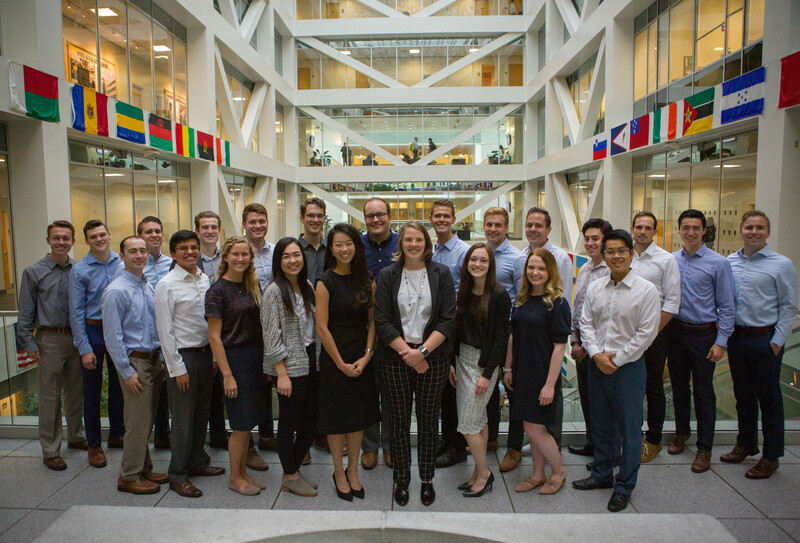 The purpose of the Student Council is to represent the interests of the BYU Marriott student body by chartering and assisting new and existing clubs, planning service and outreach activities, and promoting student engagement in collaboration with the BYU Management Society. To learn more or to get involved, contact the Student Council president, Gabe Jensen. Club registration and payment of dues is done online. When you are ready to register for a club, have your credit card ready go to the Club Registration page. Follow the given instructions. If you do not receive a receipt at the end of the process, the registration was not complete. Please contact the BYU Marriott Web Team if this happens to you. If you must pay by check, don't use the online system. Come to 490 TNRB, and the secretary will take your check and enter you into the system. Each club has a set of online tools to assist officers in managing club affairs. Club leadership can send club-wide email, manage membership records, and adjust dues. To use the tools, go to the club admin tools page. Click here to view the club officer orientation slides. Sign up for the wrong club? It is every student's responsibility to keep their personal information (email, phone, etc.) up to date. If you are not receiving club emails first check to make sure your email is up to date (the clubs system uses your personal email address). Our system uses your information at Route Y.